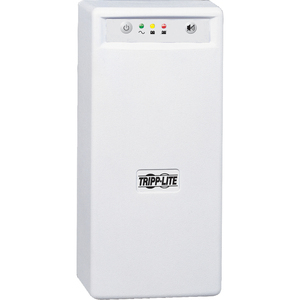 Tripp Lite's Internet Office 700VA standby UPS system offers surge suppression and long-lasting battery support for personal computers, internetworking equipment and other sensitive electronics. 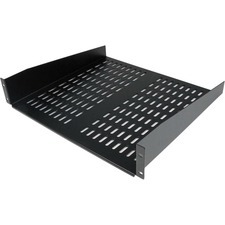 Internal UPS circuits support entry-level PC systems for up to 45 minutes during power failures and brownouts so that connected equipment can be shut down without data loss. Includes 3 battery-supported outlets for computer, monitor and one vital system peripheral, plus 3 additional surge suppression-only outlets for printers and other system accessories not requiring battery support. USB port enables optional unattended system shutdown without data loss in the case of extended power failure; USB cable included. Built-in RJ11 phone suppression jacks protect modem, fax machine, cordless phone or other peripheral with a standard single-line tel/DSL phone connection.